So I was using assdraw to create objects to overlay as subtitles in a subfile. The process is you create the vectors and then you copy the displayed equation and paste it into a sub program like aegisubs. I was wondering If I could do the same process using inkscape instead of assdraw? Is there a way to access/copy the equation of an object I make so I can copy that into aegisubs? If by equation you mean the SVG expression for an object, you can use the object to/from string extension. It allows to convert senected objects to string, and SVG strings back into objects. 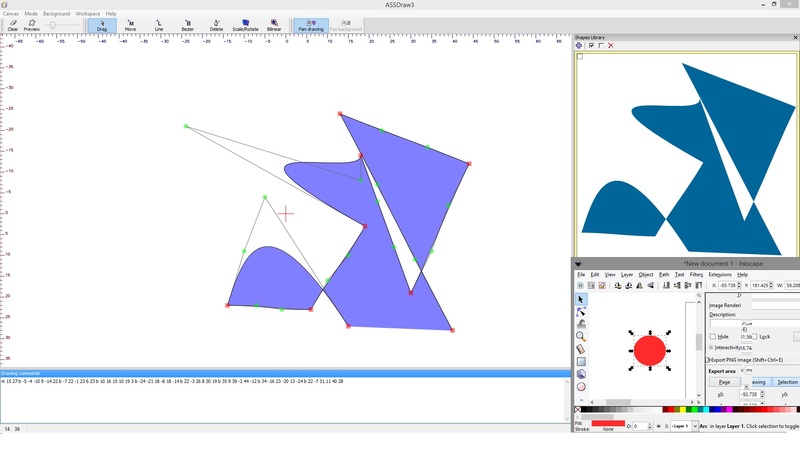 You can also get the SVG expression using the XML editor in Inkscape (the <> icon).